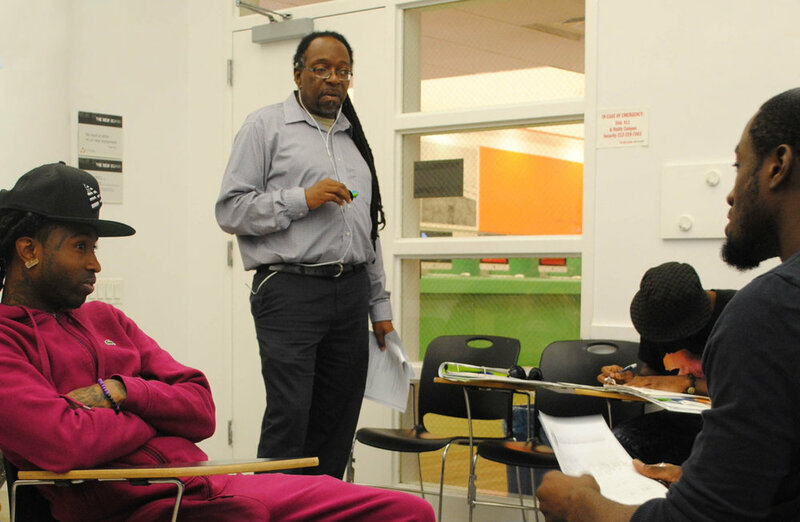 In 2012, the New York City Department of Probation (DOP) issued a request for proposals for a new intensive mentoring program. It would be an “alternative-to-placement” in group homes for young people adjudicated in Family Court in serious delinquency cases, commonly involving assault, weapons, or robbery charges. The program requirements were formidable: At least 21 hours per week of one-on-one mentoring of each of the young people involved, with the expectation that, in an effort to prevent future delinquency, mentors would be in schools, in family homes, on the street corner – in short, everywhere these kids were. More than that, large traditional social service agencies like mine, Good Shepherd Services, would need to make a radical change in our staffing structure. We would be required to hire not social workers to treat the youth, or case managers to connect them to services, but “Credible Messengers”: Respected men and women from the local community who also had prior felony convictions and who would build relationships and mentor youth away from dangerous behavior. For agencies accustomed to using fingerprinting and background checks to literally “screen out” such applicants from our youth development workforce, the concept of building a program wholly staffed by ex-felons with little to no social services training or experience was new and exciting. It was also daunting. That was five years ago. Since then, programs that rely on Credible Messengers to build trusting and transformative relationships with at-risk young people have proliferated, largely funded by City agencies like DOP and the Department of Health and Mental Hygiene. The resulting mentor-mentee relationships have, in many cases, changed the trajectory of young lives. They help young people more fully realize their potential, in part by improving their connections to traditional education, mental health, or job development services. The Credible Messenger mentor is proving to be a key partner in reaching traditionally “hard to reach” youth. A mentee recently told a Good Shepherd board meeting that “I trusted [my mentor] Ana so much because I realized she is on the same path that I am, she’s just farther down it.” Additionally, when managed well, programs that employ Credible Messengers help their agencies deepen community partnerships and engagement while providing valuable job opportunities for men and women who were formerly justice-involved. Despite their strong value as “outside the system” helpers, however, Credible Messengers working in the youth and family development field still face high hurdles. They are, unfortunately, part of a system that primarily values and compensates higher education and professional work experience. Credible Messengers are often paid low hourly rates in part-time positions – and an institutional structure that leaves critical employees without a living wage will inevitably suffer high turnover and programmatic instability. To change these dynamics, social service agencies need to undertake a paradigm shift that will make Credible Messengers integral and respected members of any social work intervention. Central to that vision is creating pathways to college degrees for Credible Messengers who now lack those credentials. Ideally, such educational programs should hone the clinical skills and empower the lived experiences of Credible Messenger staff – and in the process, also strengthen our field and our communities and increase the resiliency of the young people we serve. Stake a place for Credible Messenger mentoring in the field of professional social services. ITM is an important, pioneering effort. Going forward, its work should be complemented by more institutions of higher education dedicated, not just to promoting the educational aspirations of Credible Messengers, but also to creating a pedagogy that respects and builds upon their lived experiences as a means to counsel and develop youth promise and power. The human services field has long-respected the impact of the peer counselor. It established the designation of “credentialed alcoholism and substance abuse counselor” in the 1970s as a way to train and provide professional recognition to those in recovery who are also aiding their peers. In the era of mass incarceration we need higher education programs that train those directly impacted by the policies that have helped imprison so many to heal those who may fall prey to a cycle of injustice, violence, trauma, and disenfranchisement. This is about more than just enabling credible messengers to attain social work degrees. It is about amplifying a social justice framework and elevating lived experience in the practice of social work and related fields. The educator and social critic Paolo Freire once wrote that “the oppressed must be their own example in the struggle for their redemption.” In that spirit, ITM needs to be joined by other colleges to craft a pedagogy and practice that is developed with credible messengers to transform their lives and their communities. Social services agencies will in turn be strengthened by their contribution.